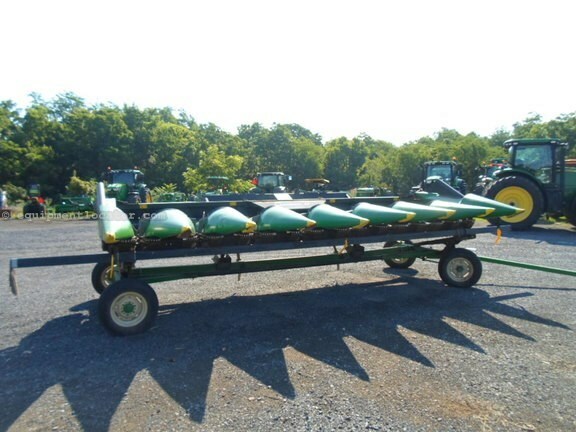 ROTA DISK 8 ROW CORNHEAD; Field Ready; Cart not included. Utilizes existing hydraulics. Both PTO and auger drives engage with an oversize spring loaded dog clutch allowing engagement of the drive without slipping or jumping off the drives.